Lockheed Martin (NYSE: LMT) has secured six contracts worth up to $198.4 million combined to deliver C-130 Hercules aircraft training systems and maintenance services to multiple Defense Department clients. The company said Monday it will help the U.S. Air Force study common architectures of various simulator elements to establish a common approach across all training systems for future acquisitions. The Air Force Special Operations Command selected Lockheed to supply five C-130J Super Hercules weapon system trainers in the special mission and gunship variants. Lockheed also received a pair of contracts from the Air Mobility Command to modernize two C-130J fuselage trainers; two visual systems on flight simulators; and 13 AMC trainers at various Air Force bases in U.S. and Europe. 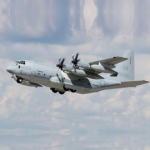 Other deals cover the provision of reconfigurable C-130J weapon system trainer and associated support services for the Air National Guard as well as four KC-130J observer trainers to the Naval Air Systems Command. Lockheed is also scheduled to open a Hercules training facility in the second quarter of 2018 to train future air mobility pilots and crews for the C-130J airlifter and LM-100J commercial freighter platforms.